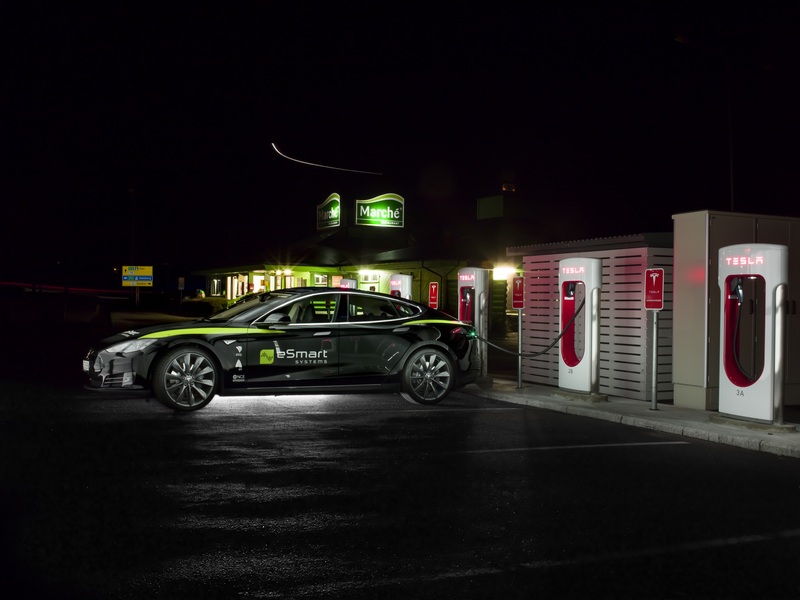 ChargeFlex, an R&D project from eSmart Systems, developed software to better exploit the grid and increase the charging capacity for electric vehicles (EVs). It provides analysis and enables the control of energy resources with the help of predictive algorithm to increase capacity by 40%. By expanding the charging capacity without investing in the current infrastructure, electricity providers can put up more charging points and offer better charging opportunities. This means that the end-users can charge their EVs at home knowing that the electricity bill will not be higher than necessary. The car charges when the price is at its lowest. The software has now been commercialized under the brand Connected Prosumer. Used with permission from AddÉnergie Technologies Inc.
Canada’s AddÉnergie is developing new and innovative technologies that contribute to the growth of the country’s electric vehicle charging infrastructure, such as fast-charging stations, curbside stations for city streets and residential chargers. This infrastructure relies on AddÉnergie’s Charging Station Network Management System, a cloud-based management system that enables the company to provide a highly reliable service across the network. 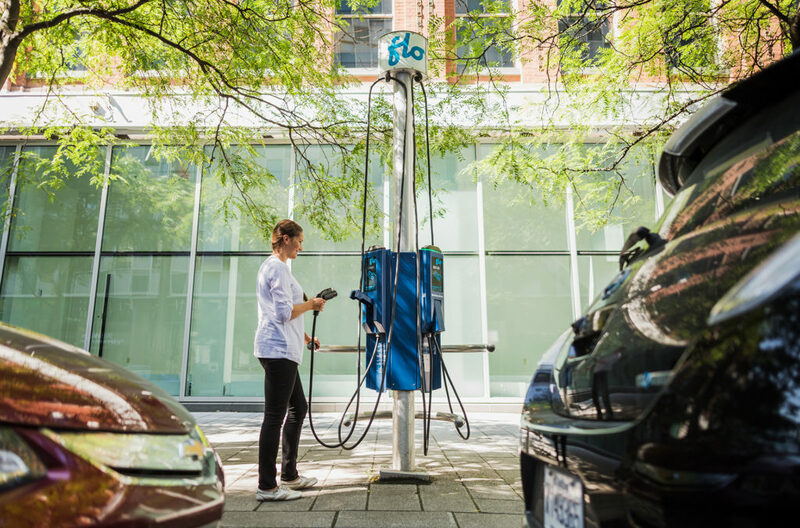 To date, AddÉnergie has deployed over 4,500 charging stations and 3,500 residential chargers, all connected to the central system. The project has led to better market awareness, an increased understanding of needs and expectations of drivers and charging station owners, and a clarified business model for operating charging stations. Enerfy™ is an auto insurance data platform that saves customers lives, produces fuel savings and reduces claims costs by 40% and CO2 emissions by 17% through changed behaviours. By generating real-time risk reports on safety and environmental performance for auto insurers, it provides a financial incentive for drivers to be environmentally friendly. The company is seeking $15 million to globally scale up sales and marketing to meet the goal of 40 million drivers insured within five years. The World Wildlife Fund and Swedish Energy Agency has estimated that the Enerfy technology can contribute to a global reduction of CO2 emissions of over 100 million tons per year. Fuel cells can efficiently produce electricity with low or no emissions, with applications from zero-emission vehicles, to off-grid power generation and portable power for electronic devices. The project PSUMEA-2 focussed on developing lower cost and more reliable alternative membranes for PEM fuel cells and PEM electrolysers, compared to the market-established Nafion membrane. The innovative membrane reduces stack costs by 20%, requires a 30% smaller cooling system, minimizes cooling costs by almost 70%, and is more robust at high temperatures. The PSUMEA-3 project will continue this promising research with the ultimate goals of scale-up and the facilitation of market access.